The You’re going places (Croatia, to be exact) Sweepstakes is open to anyone who is at least eighteen (18) years of age and has reached the age of majority in their jurisdiction of residence at the time of opt-in (19 in Alabama and Nebraska; 21 in Mississippi) and lives within the continental United States and has a valid email address. The You’re going places (Croatia, to be exact) Sweepstakes ntry Period: The Sweepstakes ends on October 10 at 11:59pm EDT. You may enter the sweepstakes by visiting dojomojo.ninja/landing/campaign/1878 and completing the sweepstakes entry form. There is a limit of one (1) entry per person/email address. Description of Prizes: Grand Prize (total value of $4000). 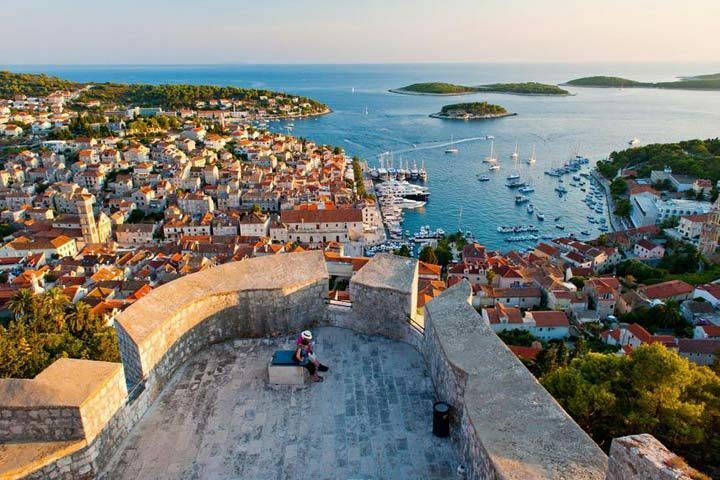 5 night stay at The Admiral Zaton Boutique Luxury Hotel in Croatia. $1,000 flight voucher in the form of an American Express gift card. $250 Black Tux gift card. 1 single speed bicycle from Sole Bicycles. 10-pack of underwear from MeUndies. 1 sheet set & 2 pillows from Casper. 1 Quip starter pack + 1 year subscription. 2-piece set of luggage from Away. ‹ Shiner BBQ VIP Sweepstakes	› Concours Radio-Canada 35 ans? J’ai mon voyage!